BBC’s Question Time is coming to the Merlin Theatre in March. Hailed as the BBC’s flagship political show and known for its topical debates, Question Time invites guests from the world of politics and the media to answer questions posed by members of the public. 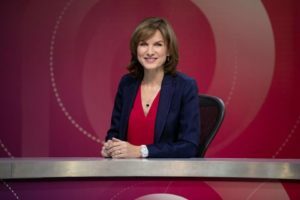 The show is hosted by Fiona Bruce, who took over from David Dimbleby in December last year when he left the show after 24 years. Question Time will be broadcast from the Merlin Theatre on Thursday 21st March, days before Britain is scheduled to leave the European Union on 29th March. how do you feel about how the brexit has been handled? has anyone come out of the debate over brexit well? Hilary Gilmore – go to the BBC’s website to get tickets is my suggestion. 1) How does Jeremy Corben justify his deafening silence over the most important issue in our lifetime? 2)How can the Government justify the wasting of millions of pounds of taxpayers’ and businesses’ money shadow boxing and bluffing around a “No Deal ” Brexit it so clearly doesn’t want? 1) How can Jeremy Corben justify his deafening silence over the biggest debate and question of our lifetime? 2) How can the Government justify the squandering of millions of pounds of business and taxpayer money shadow boxing and bluffing over a No Deal Brexit they so clearly do not intend to implement?